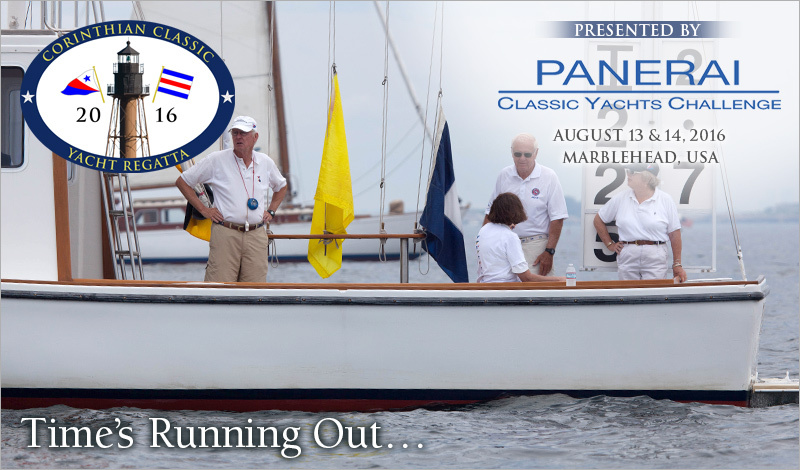 Procrastination is just part of Human Nature, but now it's time to register for the Corinthian Classic Yacht Regatta – presented by Officine Panerai, August 13 & 14. The regatta celebrates Classic Sailing Yachts of all types: Classic Wooden; Classic GRP/Plastic; and Spirit of Tradition. Your boat no doubt qualifies and you deserve to show her off. The opportunity to sail along with some of the most beautiful and important classic yachts from the “golden age of sail” is rare. There are numerous Spirit of Tradition and Classic GRP/Plastic participants. This regatta is about “classic yachts”. The Skippers bag is phenomenal. You have MORE chances to win a Panerai watch. Fabulous regatta trophies from Panerai and the CYC. Free moorings and launch service. Don't procrastinate any longer. Go ahead... register for the Corinthian Classic and be a part of an awesome event.